Samsung has already introduced the Galaxy S10+ and Galaxy Fold smartphones with 12GB of RAM last month. Today the company has announced that it has started mass production of 12-gigabyte (GB) low-power double data rate 4X (LPDDR4X) RAM for premium smartphones. It is achieved by combining six 16-gigabit (Gb) LPDDR4X chips (16Gb=2GB) based on the second-generation 10nm-class (1y-nm) process into a single package, and promises up to a 10% power reduction while maintaining the same data rate of 4,266 megabits per second (Mb/s) as it 8GB RAM. This four-channel package can realize a data rate of 34.1GB per second and its thickness has been reduced more than 20% from the 1st-gen package, enabling OEMs to design slimmer yet more effective mobile devices. 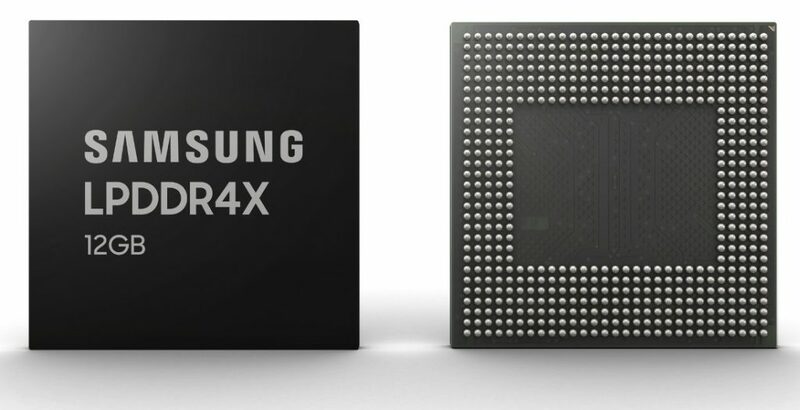 Samsung said that it plans to more than triple the supply of its 1y-nm-based 8GB and 12GB mobile DRAM during the second half of 2019 to meet the anticipated high demand, thanks to its cutting-edge memory line in Pyeongtaek, Korea. Check out Samsung’s history of DRAM development from 2009 to 2019.